On November 3rd, 1984, the Yilan County Government's 260th Administration Meeting selected the Multiflower Orchid to be Yilan's county flower. Multiflower Orchids are fragrant, elegant, unique, and artistic. It is not surprising that they are popular subjects for artists and poets. The Yilan climate with its mild temperatures and humidity is ideal for cultivating many types of orchids. 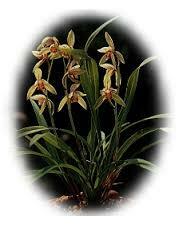 Many varieties of orchids are cultivated in the county. Multiflower Orchids are mostly used for decorative purposes in homes, offices, and public areas. plant in a mixture of peat and snakewood chips, favors warm and humid environments, prefers shade.